A healthier Buffalo Chicken Wing is totally possible. 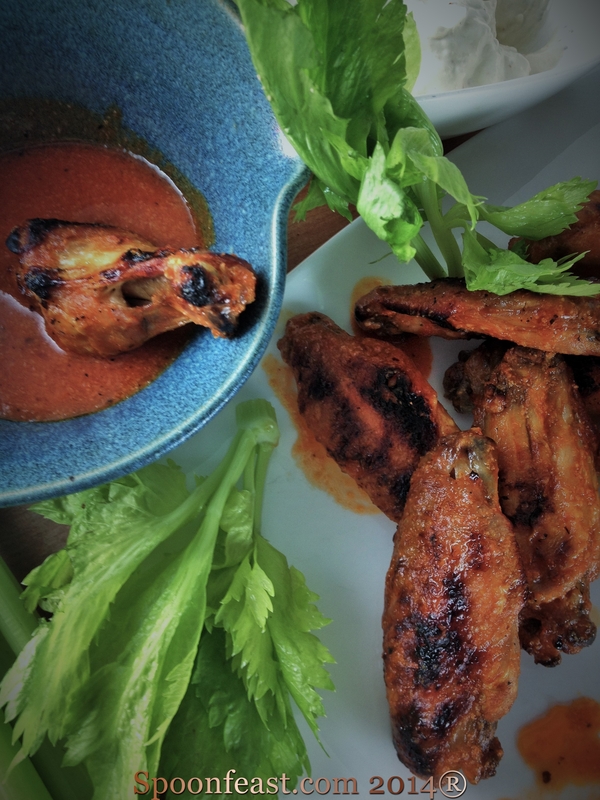 Avoid deep-frying and a butter loaded sauce and you can still have a Buffalo Wing that satisfies that craving. 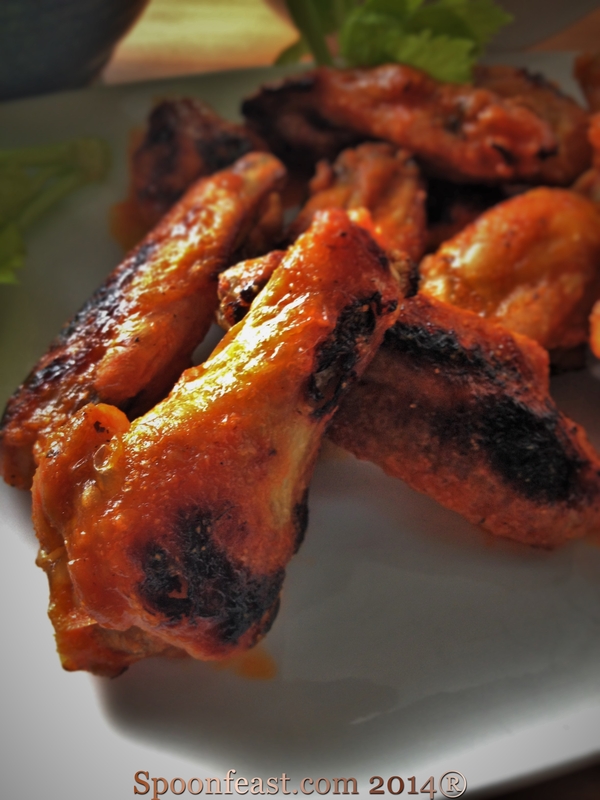 The secret is to get rid of the fat by boiling the wings first, then broiling or grilling them to crispy perfection. Don’t forget the celery and bleu cheese dressing either! You can make a lower fat version by using plain, non-fat Greek yogurt, a good quality crumbled bleu cheese, a dash of garlic powder and a splash of Worcestershire Sauce. 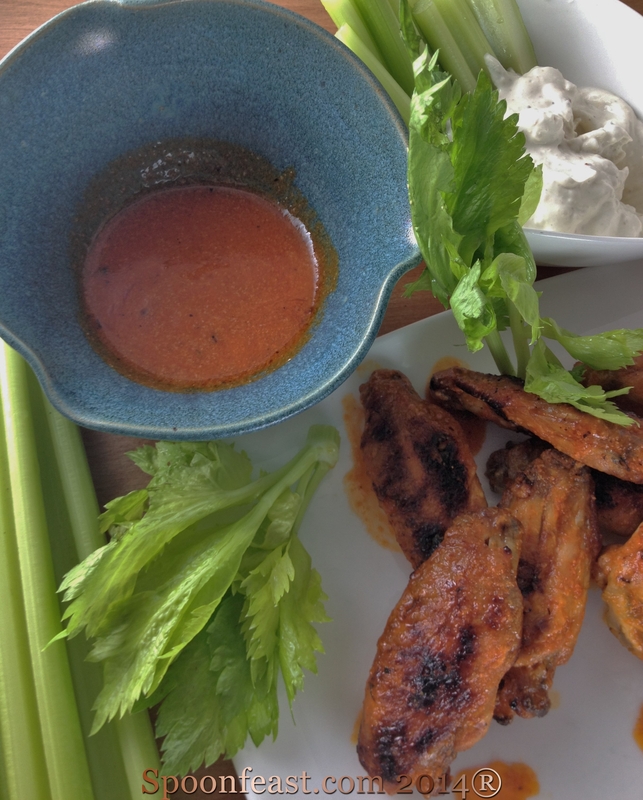 The “Buffalo Sauce” which is typically full of butter, can be made using a non-fat chicken stock, lemon juice and, of course, your favorite hot sauce. Being a North Carolinian, I use Texas Pete, a good North Carolina brand. Place the wings in a large pot, cover with cold water. Place over high heat, bring to a boil. Add salt, garlic, herbs de Provence or whatever seasonings you like. Once boiling, boil the wings for 10 minutes. Drain. Pre-heat the broiler on high for 5 minutes. Line a broiling pan with foil. Place the drained wings on the pan. Place under the broiler for 6 minutes. Watch carefully. Once browned, turn the wings over and broil again for another 6 minutes or until brown and crispy on both sides. 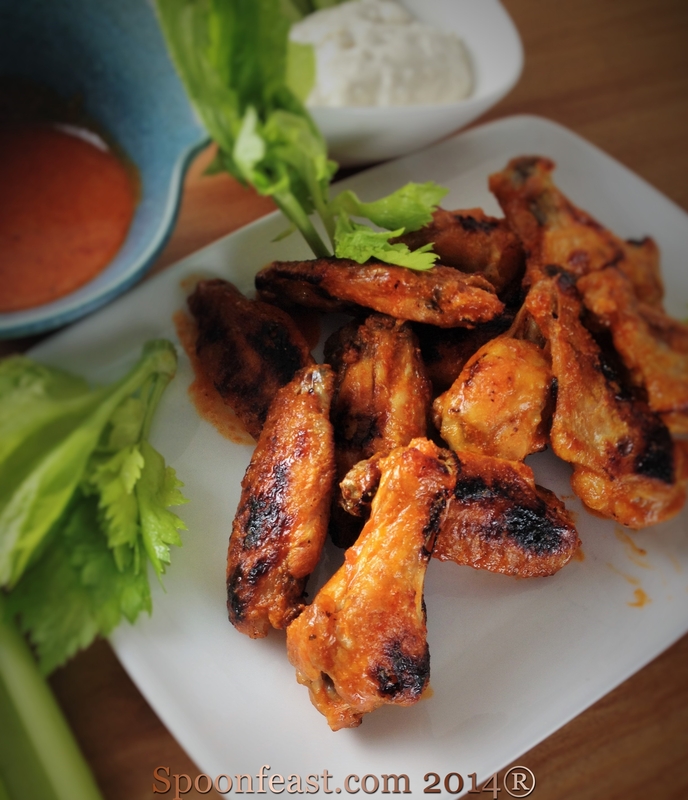 Toss the cooked wings in Buffalo Sauce. 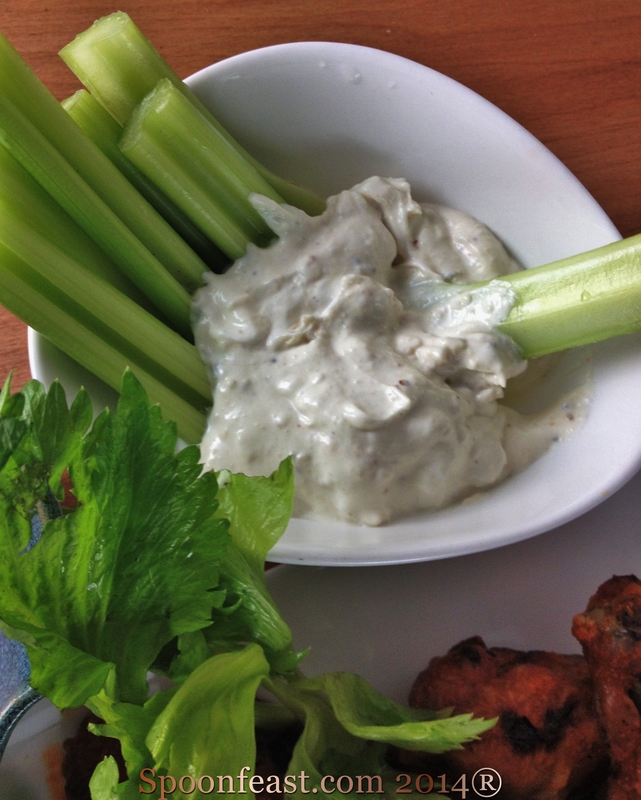 Serve with Bleu Cheese Dressing and Celery Sticks. Place the ingredients in a small sauce pot and warm. Toss the wings in some of the sauce; serve the remaining sauce on the side for dipping. IF you must have the Buffalo Sauce with the butter, consider using Kerry Gold Butter or another butter made from cows who actually graze on real grass, not some sort of “cow chow” product. Crumble 1/4 cup good quality bleu cheese into 1 cup of plain non-fat Greek style yogurt. Adjust flavors with a splash of Worcestershire Sauce, garlic powder and a sprinkle of chopped parsley, if desired. 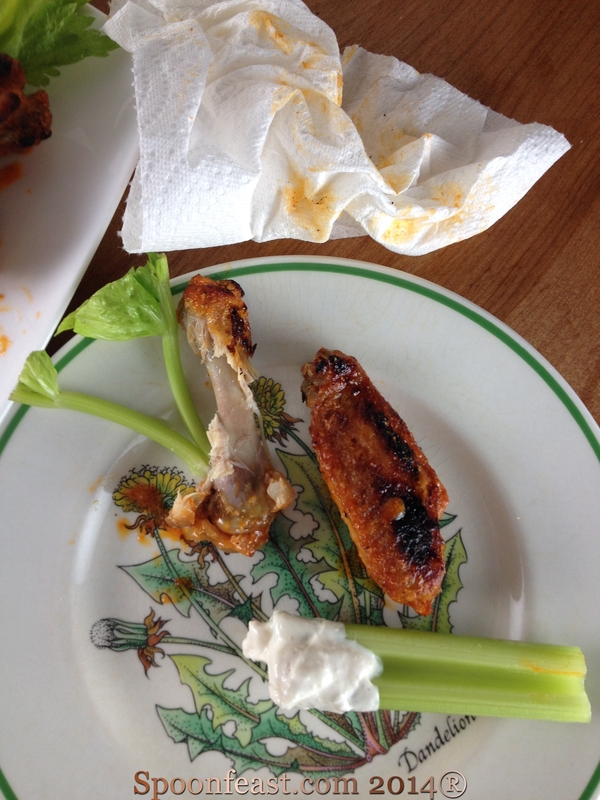 This entry was posted in Cooking, Recipes, Snacks and tagged broiled chicken wings, Buffalo wings, Chicken wings, healthy cooking. Bookmark the permalink. Lovely recipe! And I love the secret tip! It is always nice to have a healthier version of a popular recipe. You’ve done a fine job with the wings. Why thank you Karen! They were quite delicious! Pamela, I never knew why some recipes boil the wings before grilling or baking them. Now I do, thanks. I marinade my chicken wings and drumettes in a mix of molasses and honey, then roast.